Caregiving and geriatric-care management are part of a growing field. Busy families in 2011 face the growing challenge of caring for aging parents who often live hundreds or thousands of miles away. I started Geriatric Assessment, Management & Solutions in 2000 out of a perceived need for consultation and management help for families of seniors with health needs. I’d been deeply involved in medical and psychiatric social work for years, and discovered how many seniors struggled with their health and other issues as they aged. And how, often, their families lived far away. The Sun Cities are unique communities, drawing educated professionals and seniors who have lived interesting lives, and who want to live vibrant, active lives in retirement. When their health begins to deteriorate, their families come in and don’t know where to begin to manage the seniors’ needs. Assessment is key, and we’re equipped to help adult children and grandchildren with just an assessment, if that’s their preference. Sometimes they want us to design a roadmap for intervention. We can do that, as well. Because of our strong network of support services, we can provide as little or as much as they need. 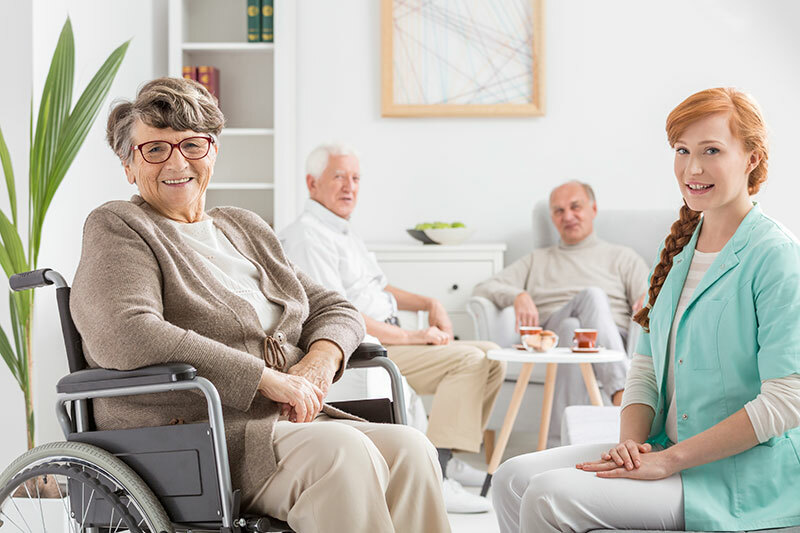 One of our specialties is to identify the specific problem areas, such as decline in health, mental health and dementia needs, and act as a link to medical, legal and financial professionals who can help seniors and their families. A typical scenario looks like this: The family of an aging mother receives a call from the woman’s neighbor. The neighbor tells the family he has noticed she hasn’t come out of the house in several days. The neighbor went to check, and discovered that she had no food in the fridge, no food for her dog, that the house hadn’t been cleaned in weeks. The children, if they are out of state, might be able to fly in and visit Mom, but have no real framework for assessing her needs. This is where a geriatric care management agency comes in. Such questions are necessary because we’ve found situations where a senior has seemed disoriented, has bills piled up, or is wearing undergarments on the outside of his or her clothes. Then there’s the fear factor. Most seniors fear being removed from their homes or going into assisted-living facilities. Adult children, too, can feel overwhelmed at the task of deciding where to place a parent and what level of care is most appropriate for the parent. Our business involves a network of physicians and health professionals, attorneys, banks and trust officers, hospitals and social service agencies, and housing communities in the area. Having a good resource network is key in this kind of business. Maybe they need a medical workup, maybe they need to see a neurologist. I see my job as bringing together various components and resources to create a “plan of care” for my clients, to map out care and necessary steps of action. A key part of our role is the follow-through of the continuation of care, and making sure our clients don’t fall through the cracks. Each client is special, and deserves to be safe, happy, and as healthy as possible.